You can easily amass thousands of digital images, then one day realize that your computer has become more cluttered than the hallway closet. You need to get organized, but you're not sure where to begin. I designed the photography workshop, "I've Taken Great Pictures, Now What?" to solve that exact problem. In the workshop, I cover the five basic steps for an efficient photography workflow: Acquire, Organize, Edit, Share, and Save. I show how you can take control of your pictures using tools that are on your computer right now. Then I introduce some of the amazing workflow software that's available right now (Aperture, Lightroon, Photoshop CS4), so you can begin to upgrade you post production tools -- all the while keeping in mind your specific needs. If this scenario sounds like something that can help you, then I suggest you download the class notes (1.3 MB PDF file), then listen to this podcast, I've Taken Great Pictures, Now What?. Soon, you will be on the road to organization, efficiency, and enjoying your pictures more than ever. If you'd like to attend the 4-hour workshop in person, the next session will be on June 20, 2009 at the Santa Rosa JC in Northern California. For more information, call 707-527-4372. The course fee is $63. Rim Lighting is the May 2009 Photo Assignment. This portrait technique puts the light source behind the subject (creating the rim light effect) then uses a fill light for the front. You can read more about how to submit on our Submissions page. Deadline for entry is May 31, 2009. First let me say that I love your podcasts and articles. They have motivated me to do more and improve my photography. I have a suggestion for an upcoming Podcast or an article. Ever since podcast 176 about workflow I have been adjusting my workflow and trying to streamline and improve it. Since my entire budget for photography is spent on my DSLR and hardware, I typically use free software. I have been comparing several and started putting together an extensive Excel file listing their capabilities. I think a podcast about free photo software would be very interesting to many of your listeners. Not all of us are pros with a big budget for Lightroom or Aperature (which I would love to have). There are some great products out there, but none of them do everything. 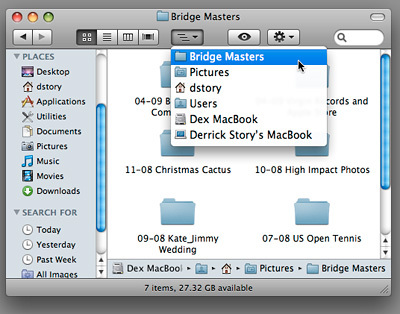 Manage folders/sort images - XnView and FastStone Image viewer.